Would you consider your family to be a "model family"? The family on the block that all the neighbours look to for advice, for help, for friendship and support? The family that is always trying new and innovative things that people take note of when they walk past your front lawn or peek over the backyard fence? I don't know about you, but the term "model family" sounds kind of intimidating to me. But in Food for the Hungry (FH) partnered communities in Burundi, it's a title of honour and a sign of progress. Whew! That's quite a list. Impressively, the 512 families of Cascade group leaders have successfully incorporated all of these practices into their daily lives, and are helping their neighbours do the same. But why these 12 things? Tippy-Taps are super effective at stopping the spread of disease in communities that don't have running water. Let's break them down and see how they're helping families and if any of us here in Canada are accomplishing the same in our own homes. Composting—deals with food waste and produces rich, organic fertilizer for crops. Keeps the home sanitary and boosts nutrition at the same time. Building and using stables—keeps the home and yard free from animal poop (hooray!) and provides a safe place for the animals to live, a win-win. Having healthy livestock like this boosts family nutrition and provides a source of income. 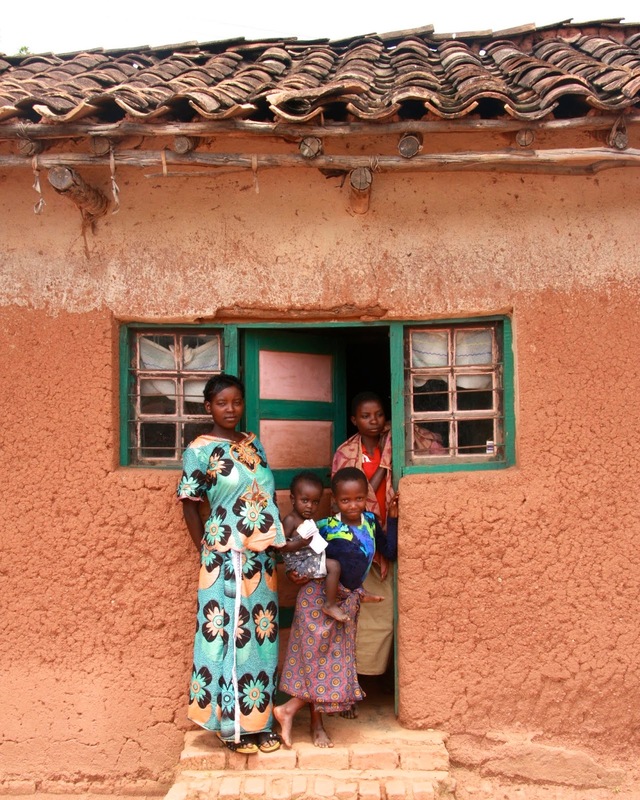 Having and using a home latrine—sanitation! There is no indoor plumbing in Kabarore, so families previously had to use surrounding underbrush as a toilet - not fun or sanitary. A latrine provides a safe, private, and clean place for when you really have to go! Using a Tippy-Tap for handwashing—keeps people's hands clean and stops the spread of disease. Growing a kitchen garden—veggies, veggies, veggies! Gives the family a constant source of fresh vitamins close to home, cuts down on grocery bills, and provides income from the sale of extra vegetables. Kitchen shelf construction and use— kitchens in rural Burundi are often one-room huts where the cooking is done on the ground. All the kitchen dishes and utensils are neatly stacked...but also on the ground. Getting them up on shelving keeps them clean and stops the spread of disease. Sleeping under a mosquito net—most homes don't have screens on the windows or doors; sleeping under a mosquito net keeps family members from being bitten at night and protects them from malaria. Sleeping on a mattress—have you ever tried NOT sleeping on a mattress? Wearing shoes—protecting feet is super important as little cuts can quickly turn into dangerous infections. Living in adequate housing—families need protection from storms, heat, and wild animals. Shelter is one of the most basic human needs we all share. Implementing Farming God's Way techniques—using sustainable, eco-friendly gardening and farming means families will have safe, organic crops that produce enough food to satisfy everyone's hunger. Planting fruit trees around the home—stops water erosion, provides shade, and gives families nutrition and yet another source of income. Wow! So, I think most of us in Canada are equipped with basic sanitation (running water, soap, toilets, storage, etc.) and most of us have sufficient shelter. But how are we doing on sustainable food security? We probably inadvertently waste food, eat crops that have been treated with chemicals, and don't know how to grow our own nutritious food. And how are we doing at supporting our neighbours with creative ways to improve their standard of living? I don't know about you, but I think I have a lot to learn about creativity, perseverance, and compassion from the families behind these model homes in Burundi! Food for the Hungry: Do You Have a Model Family?